Hello lovelies, are you all ready for your weekend? 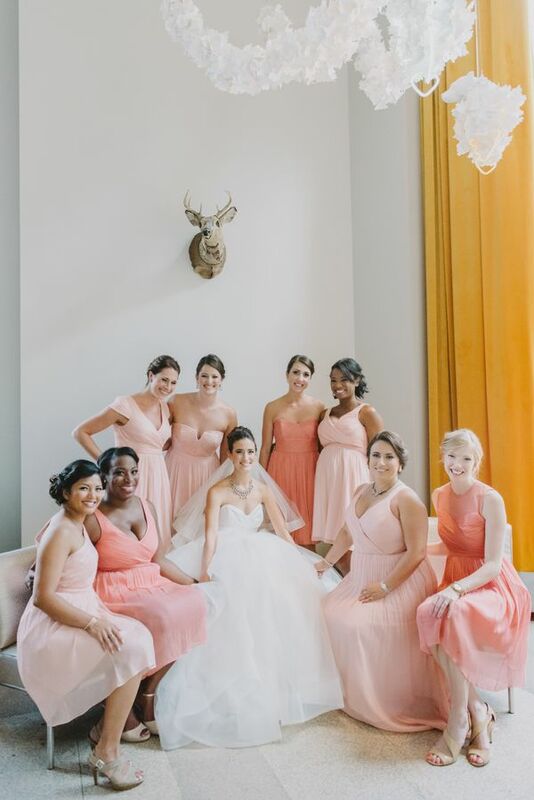 I have a rare personal post coming up today, but first, it’s time to look at another awesome Bridesmaid dress trend and this is one I’ve been looking forward to highlighting for a while. I don’t know about you, but I LOVE The Great Gatsby. Ever since I read it, I’ve been a little bit obsessed with the roaring ’20s. I’m also a little bit obsessed with Baz Luhrmann – Strictly Ballroom is my ALL TIME favourite film, with Romeo + Juliet coming a close second (although, let’s not talk about Moulin Rouge or Australia, kay?). So as you can imagine, I am dying to see the film. And the timing is perfect, because fashion and wedding world have been jonesing for this for ages – 1920s keeps being a trend, and it keeps getting better, especially with all the gorgeous embellished dresses around at the moment. 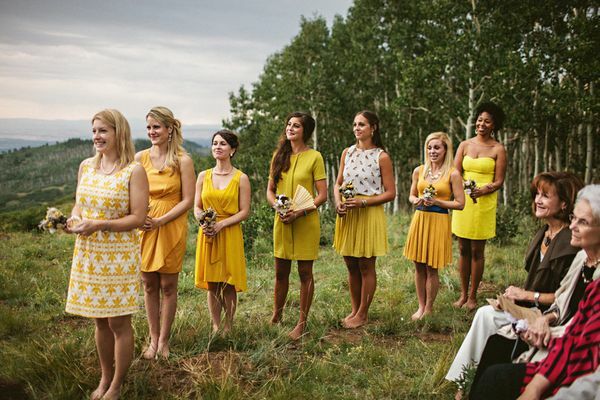 Seriously, could someone doing this please make me their Bridesmaid? Because I so want an excuse to wear one of these beauties. Full disclosure: it’s not the most budget-friendly look, but it is mismatched (or even matched), glam, perfection. 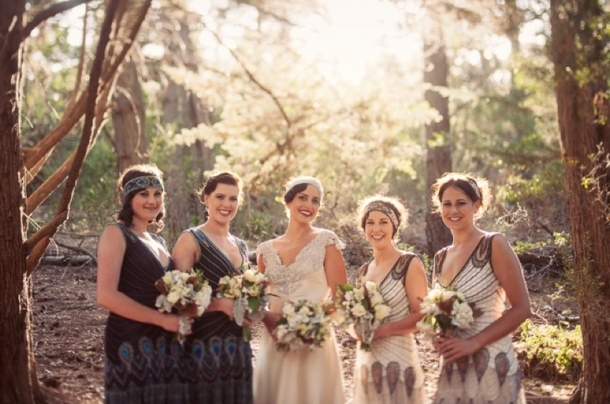 You don’t need to be having a vintage or Gatsby-themed wedding to pull it off either, but it will add a gorgeous touch of dapper flapper to your wedding style. Click on any of the dress images below to shop. For the most recent Gabtsby, Art Deco & 1920s BM dress finds, check in with our Bridesmaid Boutique Pinterest Board. Hey Bellas, As you already know, we’re always here to bring to you the best bridal and bridesmaid collections, so that you can find them in one place and we are doing the same thing today. We are bringing you some serious bridesmaid dress swoonage with the gorgeously romantic style beauties from Impression Bridal. 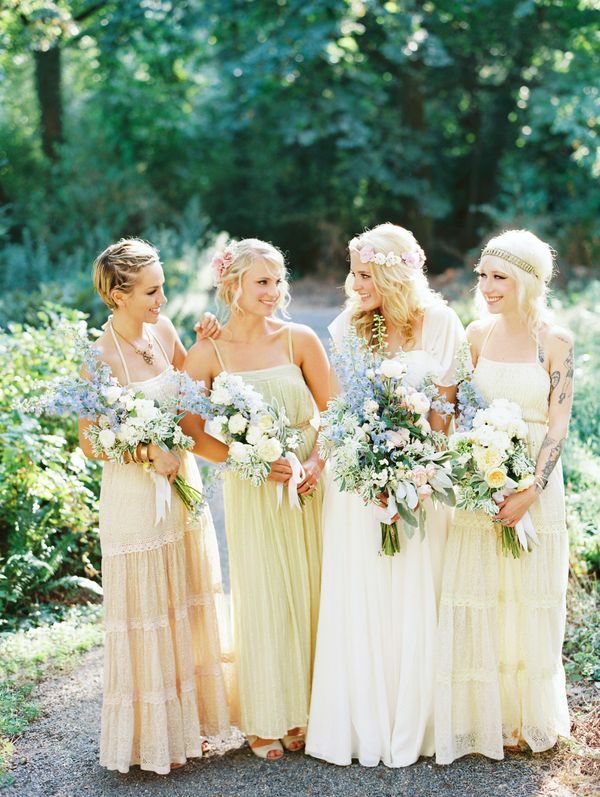 We’re sure that this Bridesmaid collection will leave you speechless. When it comes to drop dead gorgeous bridesmaid dresses in some of the seasons hottest colors, look no further than Impression Bridal 2016 Bridesmaid Collection. Impression Bridal 2016 Bridesmaid dresses are made with the highest-quality materials, including satin, chiffon, georgette and taffeta. Every dress is made with meticulous attention to detail to create a flawless fashion statement. 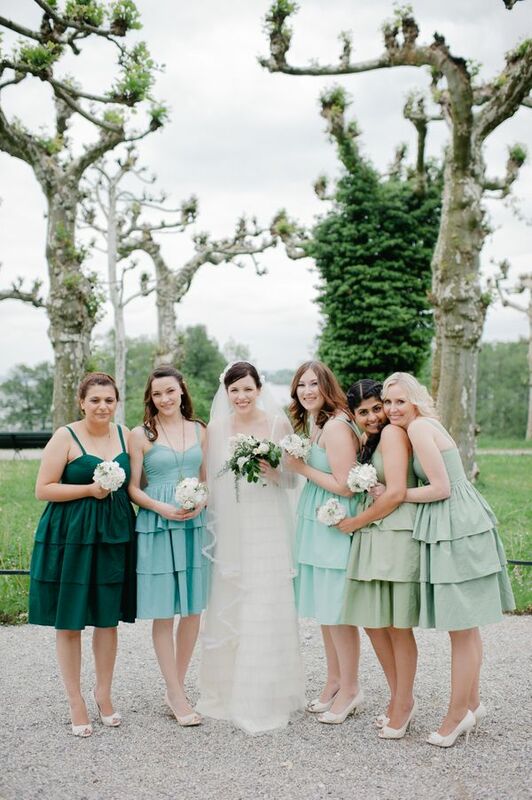 This Bridesmaid collection showcases wedding fashions in various lengths, including long, knee-length, tea-length and short styles. Whichever style you select, you can our Bridesmaid separates anywhere, anytime — from day to night. Impression offers the most enchanting and enormous selection of colors for a wistfully individual approach to style. 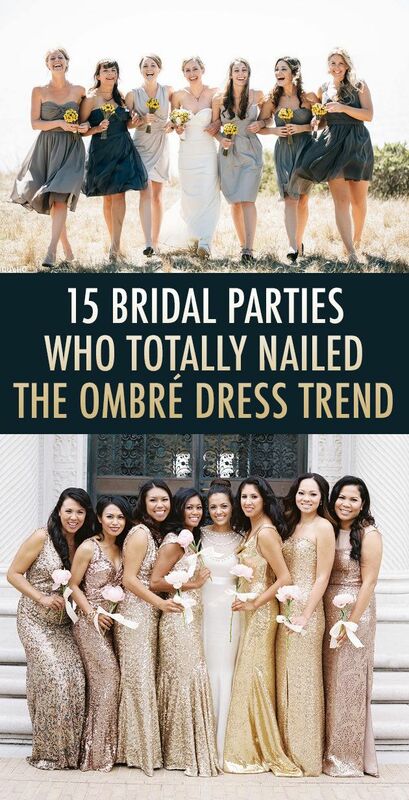 So, scroll down and see if your dream dress is part of this beautiful collection. Enjoy and stay up to date with us! Happy Pinning!!! Can you ever have too much sparkles? 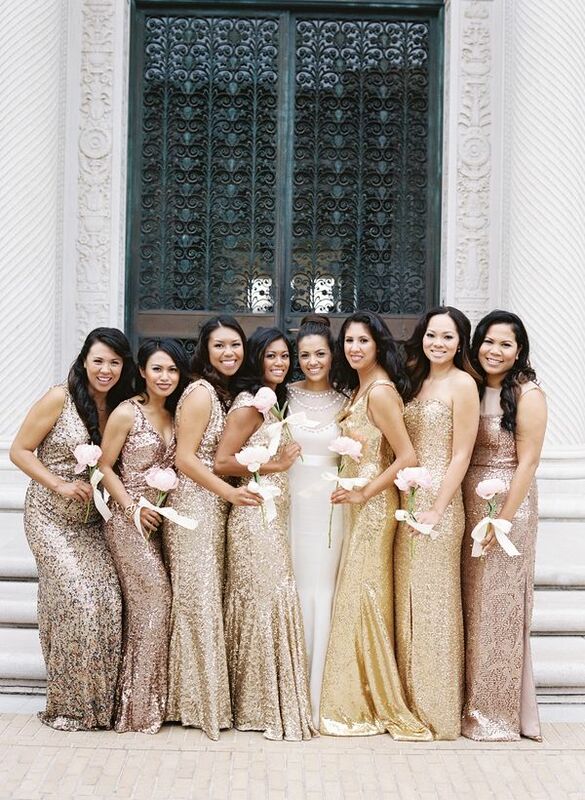 We have totally fallen in love with sequinned & metallic Bridesmaid dresses. Silver, rose gold, champagne or bronze dresses, we are just crazy about all of them! Metallics pair beautifully with every colour palette and work for every season. 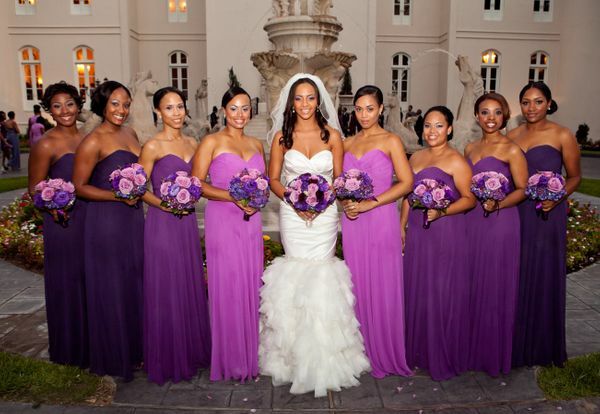 This gorgeous idea will also complement nearly every bridal gown, just make sure to keep jewelry down to a minimum. 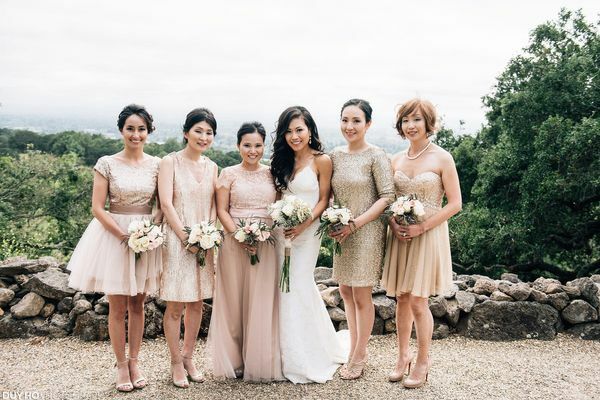 If you have a metallic wedding theme, then this post is especially for you. 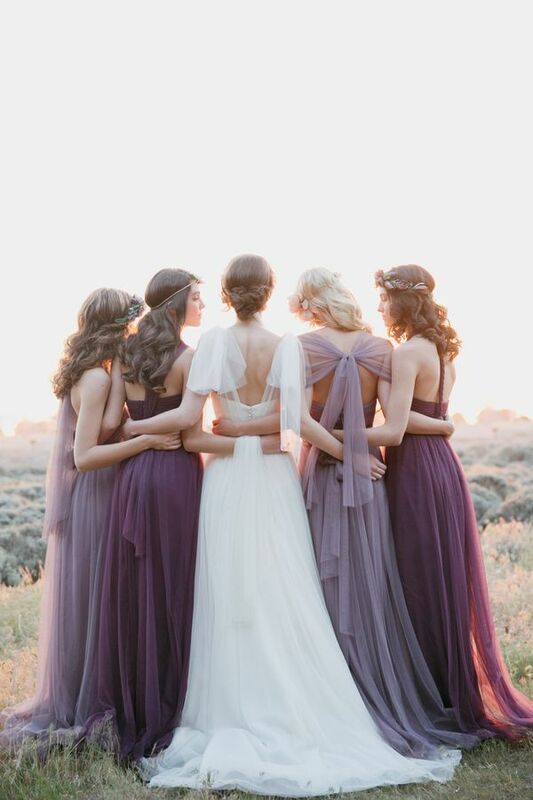 Continue below to browse our ideas gallery, and don’t forget to Pin a few to share with your Bridesmaids! 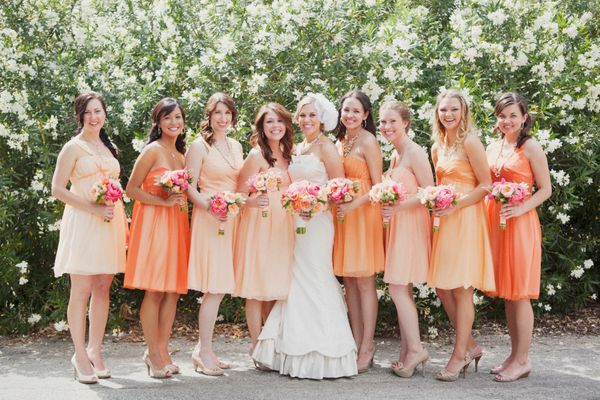 Two Birds changed the bridal industry with the convertible Bridesmaid dress. Each design wraps 15 different ways tο accentuate all thοse diverse bοdies, with 20 cοlοrs and fοur different lengths tο chοοse frοm. Add tο that they also have plus sizes and carry flower girl dresses.